When should you call Cumberland Council? have a small amount of asbestos (less than 10 square metres) on your property that has already been removed, but you need help disposing of it (Cumberland Council residents only). We have programs and procedures in place that mean we can actively assist with all of the above, so give us a call! basic information relating to safe removal of asbestos. As you can see, you can pretty much call us about anything asbestos related. If we can’t actively assist you, we will offer you advice that will send you in the right direction! Cumberland Council offers its residents a free asbestos collection, designed to collect small amounts of loose, non-friable asbestos laying dormant on residential properties. The program has been developed by Council to offer a lawful, convenient disposal solution for these small quantities of asbestos, generated as a result of minor renovations and/or repairs. The service is for non-friable asbestos only. Only material that has already been removed from a structure and is laying dormant on the property will be collected. Nine (9) square metres of material will be collected as a maximum. The material will only be removed if it is able to be easily accessed by the contractor. To find out more, or to register for the next collection day, call Cumberland Council on 8757 9000. To find out if your local council offers a similar service, give them a call. Council periodically holds Asbestos Information Nights where residents can come along to learn more about asbestos, including where they might find asbestos in their home and how to safely remove & dispose of less than 10 square metres of asbestos (perfect for anyone considering small-scale home renovations!). All residents who attend each evening are given a free asbestos removal kit (valued at $100), which includes all the safety gear and information you need to safely remove small amounts of asbestos. But remember, anything over 10 square metres MUST be removed by a licensed contractor! If you are interested in registering to attend the next Asbestos Information Night, give Cumberland Council a call on 8757 9000. Asbestos Collection is a Winner Again! 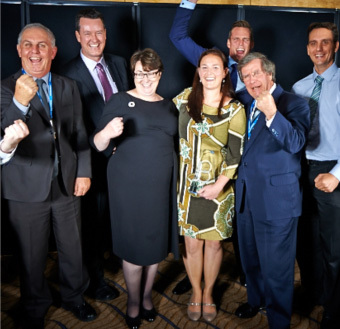 Following on from our win in December 2013, Holroyd City Council has now won the Excellence in Environmental Leadership and Sustainability category at the 2013 Local Government Management Excellence Awards held on 10 April 2014 in Sydney. The award was presented to recognise our innovation in asbestos management by the introduction of the free asbestos collection program in June 2013. For more information about the program, give Council a call on 9840 9840. 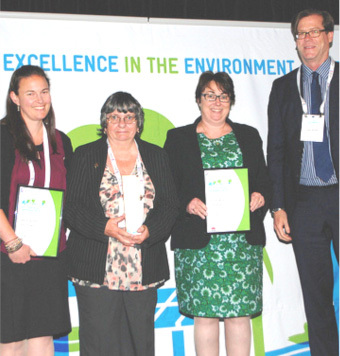 Holroyd City Council has won the Asbestos Management Award at the NSW Excellence in the Environment Awards held in December 2013. The award was presented for Council’s ‘Free Asbestos Collection’ program trialled in 2013. The program is the first of its kind in Australia and has highlighted how local councils can improve asbestos management by offering a practical solution to asbestos disposal for members of the community. For more information about the program, give Holroyd City Council a call on 9840 9840. If you have another question we haven’t been able to answer here, have a look at the info on offer from these great organisations. This site has a focus on health-related information but includes a great document titled ‘Asbestos: A guide for householders and the general public’ – well worth a read! This document outlines who you should call as a Housing NSW tenant to report maintenance issues relating to asbestos. This site details your rights as a private tenant in relation to asbestos.